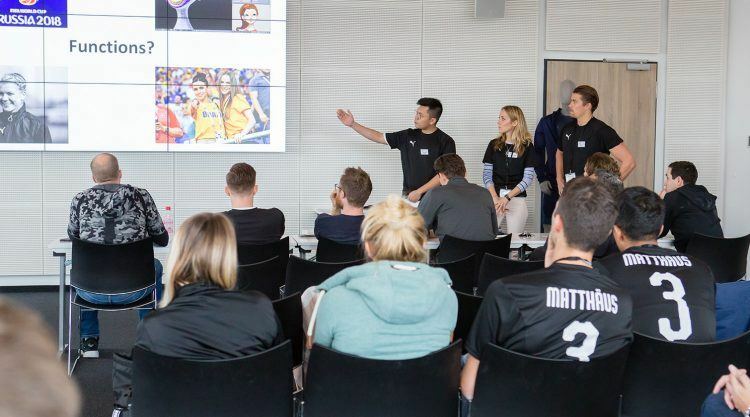 20 students, 10 startups and a tough jury: PUMA’s innovation sprint brought together a group of people at our headquarters who hope to become trailblazers for new, innovative technologies in football and sports. 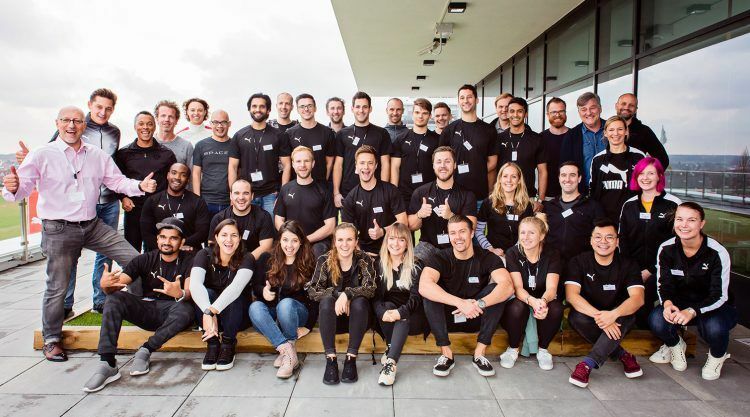 For the event, PUMA partnered with HYPE Sports Innovation, a group which has created the largest global ecosystem for sports innovation, with more than 29,000 industry members. For the PUMA event, HYPE picked 10 startups to present their innovations to PUMA. 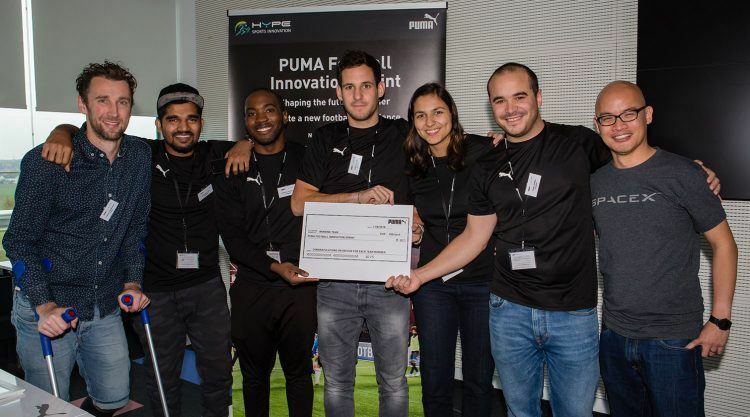 To complement the startups, PUMA’s Global Director for Innovation Charles Johnson and his team selected a group of students from the fields of engineering, business and technology. The students were asked to either push sports innovation forward in the PUMATrac App or to merge the worlds of gaming and football. At PUMA, we have a very innovative culture. We want to build on that by having a dialogue with innovators outside of our walls. For the innovation sprint, we opened our doors to startups and students to welcome new technologies and new thinkers. The students from different universities in Germany had applied ahead of the Innovation Sprint by explaining why they should be invited. During the event, we created student groups that were as diverse as possible regarding the students’ academic background. Each group then prepared a plan to disrupt the PUMATrac App or the world of football gaming. The students’ ideas ranged from training programs to become as fast as PUMA’s football players to real-life players competing against holograms. However, it was an app to create an avatar that not only looked exactly like the users but also moved like them which won the competition. The project envisioned a 3D model which translates gestures, moves, looks and even fitness levels into an app. The winning group, which called itself “BU Gaming”, received €500. The winning students of BU Gaming with their PUMA Mentors. Each group was supported by two mentors from PUMA’s higher management levels. They helped the students develop their business plan and prepare their presentation. The jury rated their ideas based on different aspects: Could the innovation survive in the real world? What is the level of innovation? What is the group’s engagement in terms of passion and effort? It was a great team effort. The jury praised the students for their presentation skills and working together very well. Talking to the market is exactly what PUMA did by inviting the startups which have all been in the market for at least two years. The startups were given 5 minutes each to convince the jury of their company and ideas. The jury selected “Find a Player”, “TRACKTICS” and “Kinexon” as the most promising apps. Think of “Find a player” as the Tinder of sports, as it connects users with a local network of athletes, games, classes and events. “TRACKTICS” gives you your game and training data to increase your personal performance on the pitch and “Kinexon” gives you and your team real-time performance analytics. PUMA and the three winning startups will talk about the next steps soon. The Apps can be downloaded in the Google Play Store and in the App Store. The winning students are now in the process of finding a programmer to implement their app. “We’ll see if we will develop our concept further and we are looking for someone with the knowledge we need,” Stephanie explained. BU Gaming and the other groups only had a few hours work out their business plan and prepare a presentation. Such a sprint is similar to a hackathon, an event at which computer programmers and others involved in software development collaborate intensively on software projects. 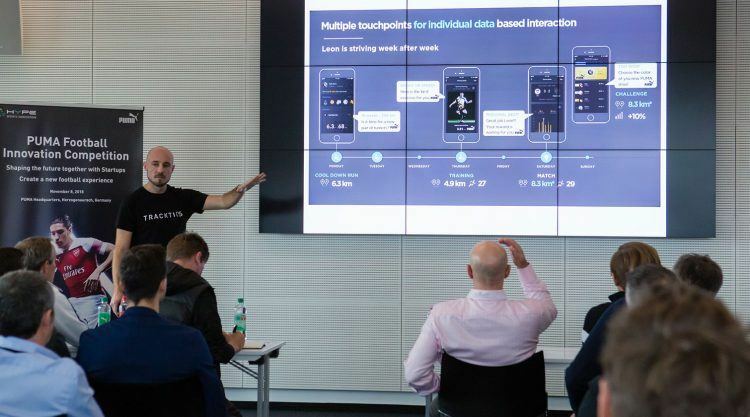 In our case, students and pioneers from the field of sports science, mechanical engineering, software engineering, marketing and business innovation, could pitch their ideas on how to revolutionize football innovation.